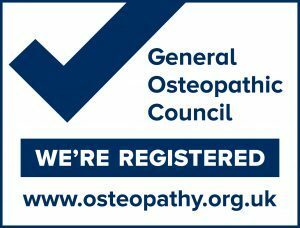 At Cheyham Lodge the initial Osteopathic consultation is one hour. By using this time to obtain a detailed description and history of your problem, plus carrying out a thorough examination, an accurate diagnosis can be made leading to effective treatment specifically tailored for you. Emphasis is also placed on explaining the problem in easy to understand ‘non-medical’ language. In most cases using a combination of treatment and exercises, it is possible to either completely cure your pain or at least significantly reduce its severity, duration or frequency, thereby greatly relieving the discomfort and frustration that you currently may be suffering. The effectiveness of treatment in each individual case is monitored on an ongoing basis, as it is important to realise if a treatment is not working and to decide on the next steps to take. See also FAQS for further information.